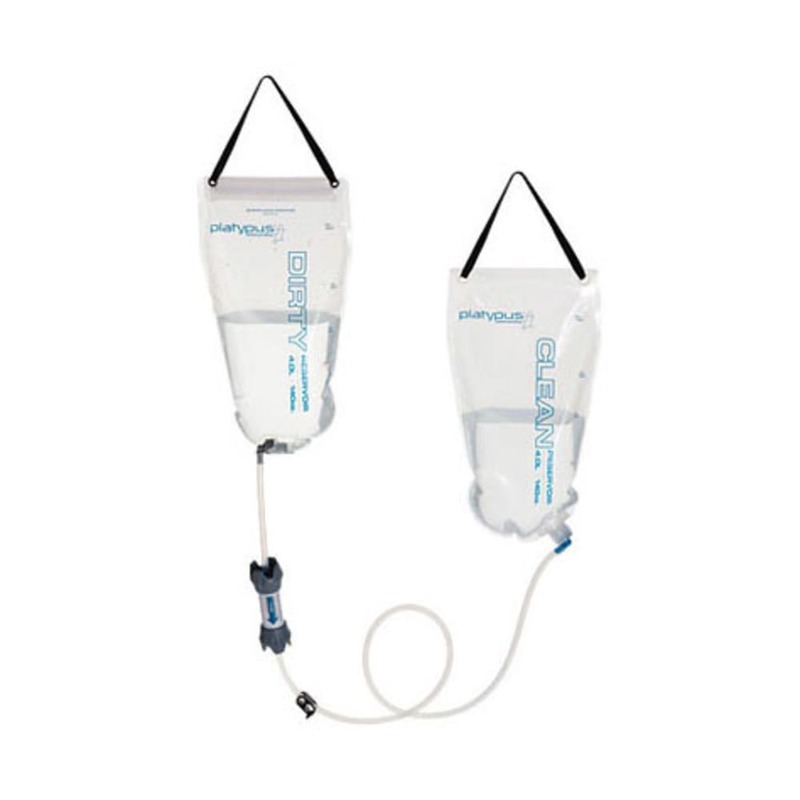 High-capacity, pump-free filtration for groups and basecamps. No pumping:? ?Just fill the dirty reservoir, hang it, and let gravity do the hard work. Fast:? ?Filters up to 1.75 liters per minute; filter lifetime up to 1,500 liters of water. Effective:? ?Meets all EPA & NSF guidelines for the removal of 99.9999% of bacteria and 99.9% of protozoa*.?? *This includes Giardia, Cryptosporidium, E. coli, Salmonella and Cholera. Ultralight & Compact:? ?System weighs 10.75 oz. (305 g) and stows smaller than most 1L bottles. Group-ready:? ?8 liter (4.0L filtered + 4.0L dirty) total capacity easily supplies water for groups. Field-cleanable:? ?Microfilter can be easily backflushed in 4 seconds to maintain filter performance. Hollow Fiber Advantage:? ?Hundreds of tiny, hollow fibers, enable the microfilter to filter water faster than traditional filter media. Easy collecting & dispensing:? ?Collecting water is easy?? ?simply open the top, scoop water, and close; control delivery of filtered water with hose shutoff clamp.